No city is safe. Everyone knows that. In fact no city or town or community is safe any where in the country. Everyone knows that. But is there a way to see how unsafe is a place. 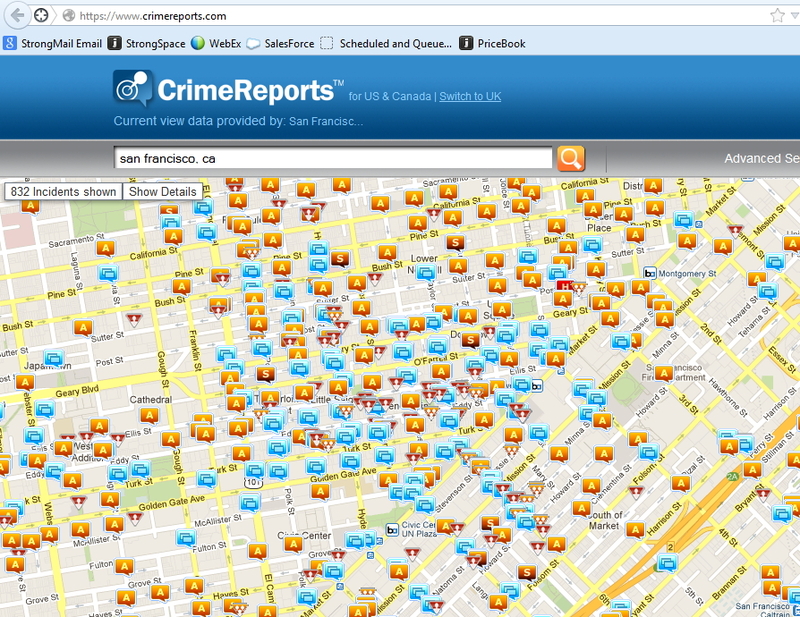 The most useful tool I have found so far is the crimereports.com that displays locations/dates/types of any police recorded crime in all major metropolitan areas. 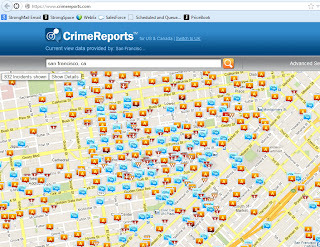 Above is a screen shot of recorded crime locations in the city of San Francisco. I recommend people who are moving to new areas to spend sometime researching the new location for the type of crimes they are most worried about. If you own a 1980 Japanese import you probably do not care about Auto theft. If you are a woman living alone you care about different types of crime than a man in his twenties. If you are in the market for a new house you must absolutely research the crime reports web site to see what has been going on in the area. Know your risks before you decide to take them on.